A big fun-packed day for everyone, featuring some top-class racing. 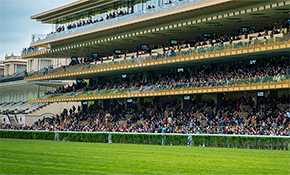 High excitement is guaranteed with the final dress rehearsal for the Qatar Prix de l'Arc de Triomphe. There are lots of attractions for young and old to enjoy, including a chance to step into a jockey’s boots and see what they see in the thick of the action. Special presale rate: from €5 rather than €10 at the racecourse ! 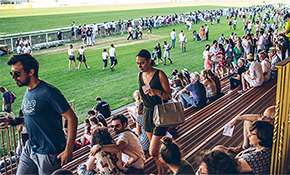 We recommend arriving as soon as the racecourse opens at 12.00 pm, so that you make the most of your day at the racecourse and do not miss any of the entertainment activities organised. How to get to ParisLongchamp? Métro : Line 10: Get off at “Porte d’Auteuil” / Line 1: Get off at "Porte Maillot"
Shuttle bus : Free shuttle bus service from Porte d’Auteuil and Porte Maillot.